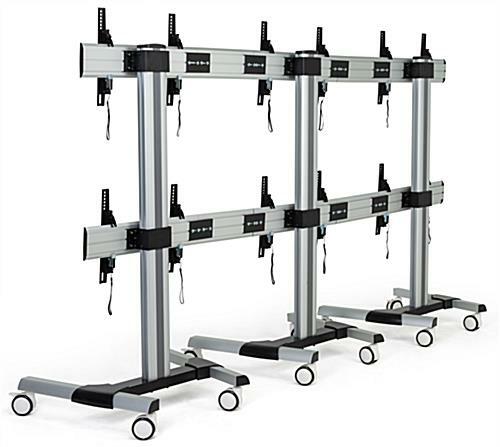 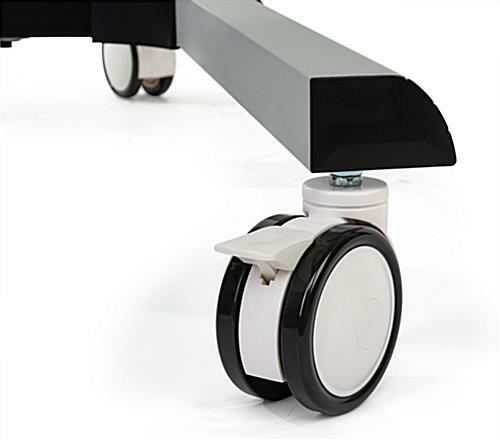 The portable LCD video wall cart combines a modular design with moveable versatility to create one incredible (6) TV monitoring or marketing stand. 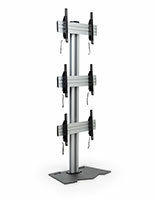 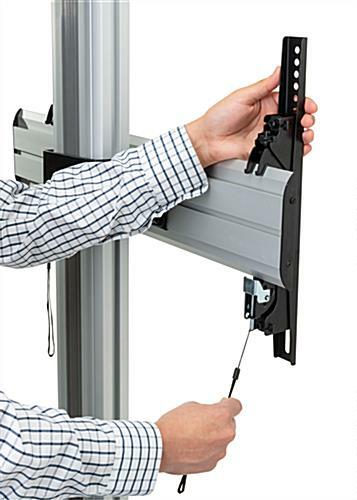 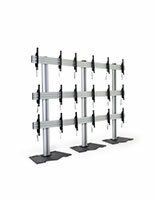 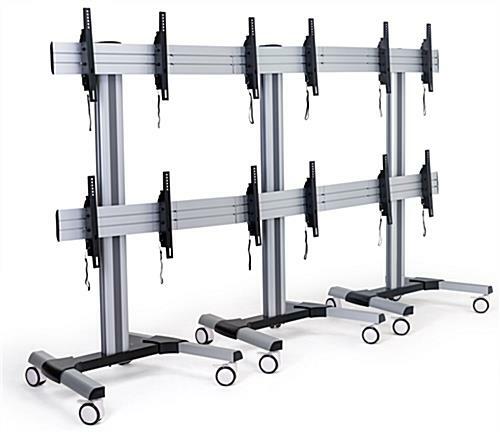 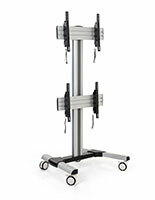 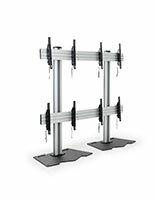 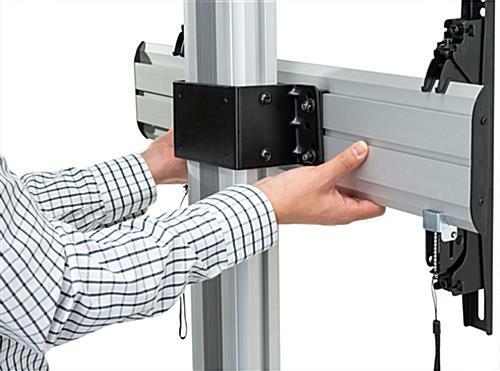 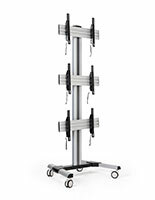 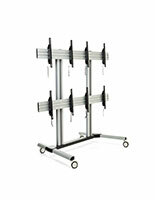 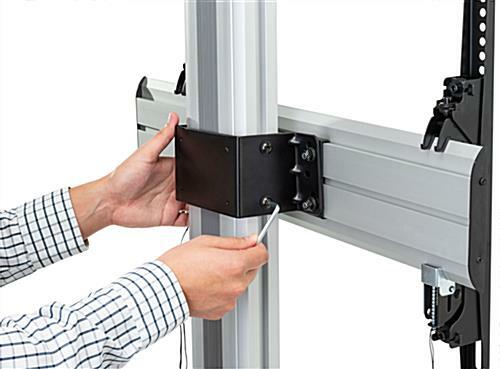 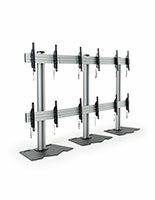 Certified for VESA standards, (6) 45” - 55” screens securely hang onto easy-mount brackets. 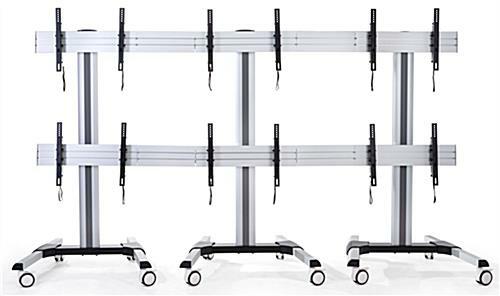 Each anti-theft bracket for this LCD video wall cart has a maximum weight capactity of 132 pounds for securely holding large display panels. 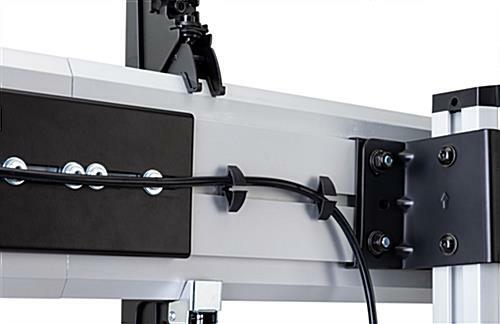 A sleek aluminum black and silver construction and integrated cable management complete the portable mount with an elegant look. 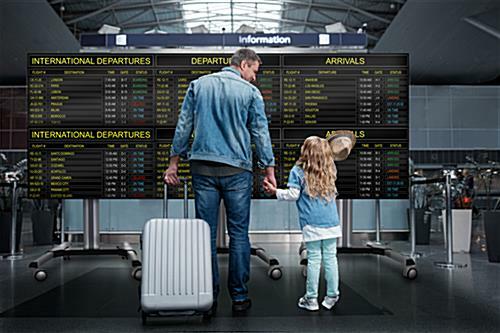 The 3x2 screen modular design creates a head-turning digital signage display to help you stand out or monitor real time information through seperate screens. 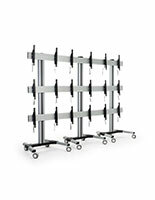 Simply different and innovative, the LCD video wall cart is here to help you display information in a cool and new way.